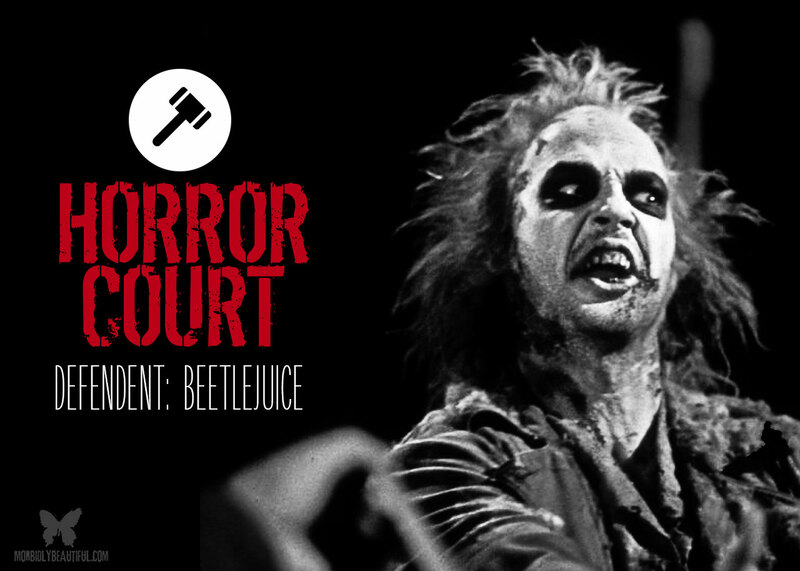 Ladies and gentlemen, Horror court is now in session; we’ll be weighing in on and whether the beloved Tim Burton classic “Beetlejuice” is horror or not. Horror fans often find themselves in friendly, sometimes heated, debates over what films can be considered “real” horror. From dark comedies, to suspense thrillers, to dark fantasy films and slow burning psychological dramas, many beloved favorites new and old feel horror adjacent. But are they really horror films? What constitutes real horror? While we would never advocate for putting unnecessary boundaries on the genre, and we understand that much of what defines the genre can be highly subjective, we still think it makes for a really fun discussion. So we’re excited to launch the first in our “Horror Court” series, where we’ll be taking your favorite films to court, examining the evidence, and rendering a verdict — is it horror or not? But remember, even if we find a film guilty of being not horror, it doesn’t mean our black hearts love the film any less! Directed by Tim Burton. Written by Michael McDowell, Larry Wilson and Warren Skaaren. Staring Alec Baldwin, Geena Davis, Michael Keaton, Catherine O’Hara, and Winona Ryder. Music by Danny Elfman. Oscar Winner for Best Makeup. Saturn Award winner for best horror movie. A young married couple suddenly die on their vacation and are trapped to live in their home, which they wouldn’t mind if they didn’t have to share it with the living. 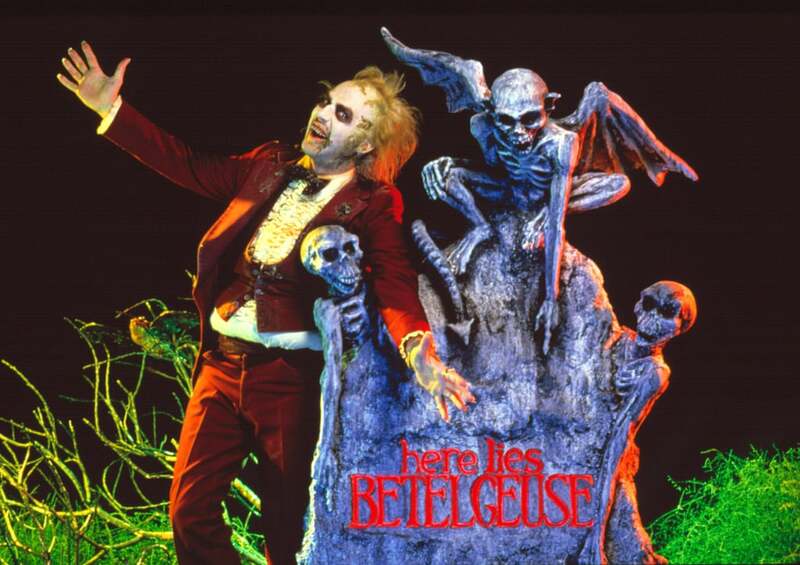 Fed up with Deetz family, they find an ad for someone named Betelgeuse who promises to help. 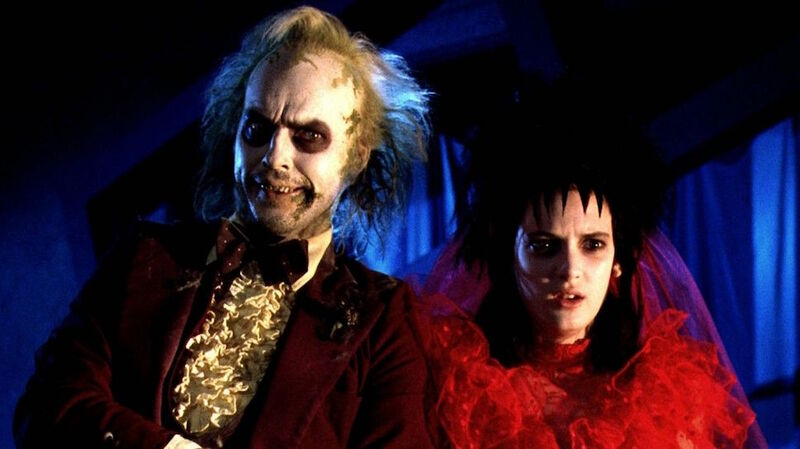 When they meet him, the couple get an uneasy feeling and decide to take things in their own hands, but they end up bonding with one of the family members of the living; and Beetlejuice isn’t ready to go back in the ground just yet — playing pranks on everyone in the home, including the dead. 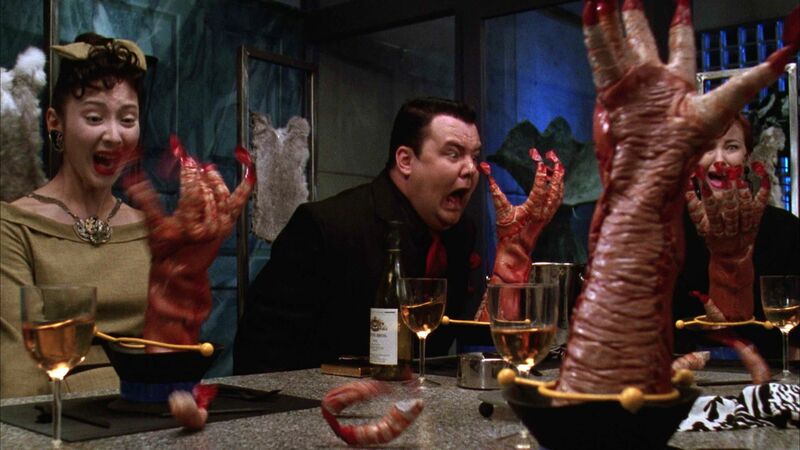 The film’s original script was defined as a horror movie, and Beetlejuice was described as a reptilian winged demon that intended on killing the Deetz family and not just simply scaring them away. We know for a fact Michael ended up playing a toned-down ghost character who speaks fluently in sarcasm and was allowed to use a few cuss words in certain scenes. We see him as a snake in one scene, and we can’t forget about his friend the sandworm. 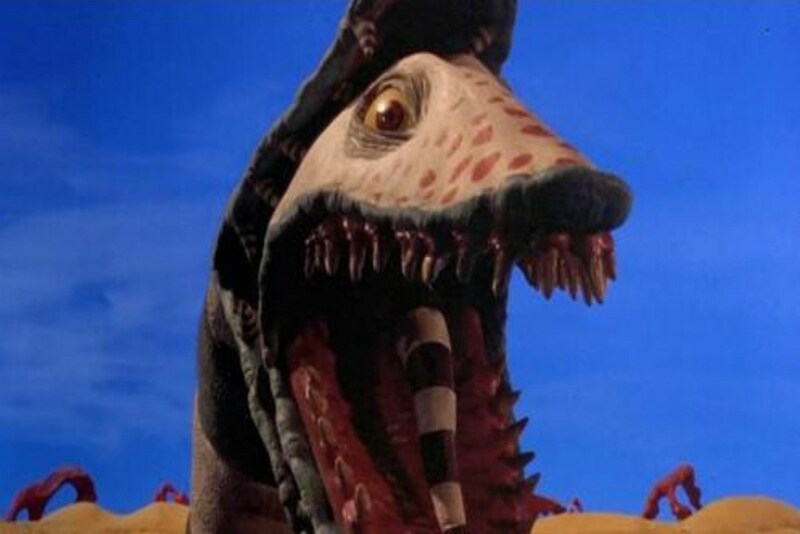 Perhaps the sandworm that has similar characteristics to a snake, or the snake that Beetlejuice turns into, would frighten someone with Ophidiophobia (the fear of snakes.) But that’s about it. 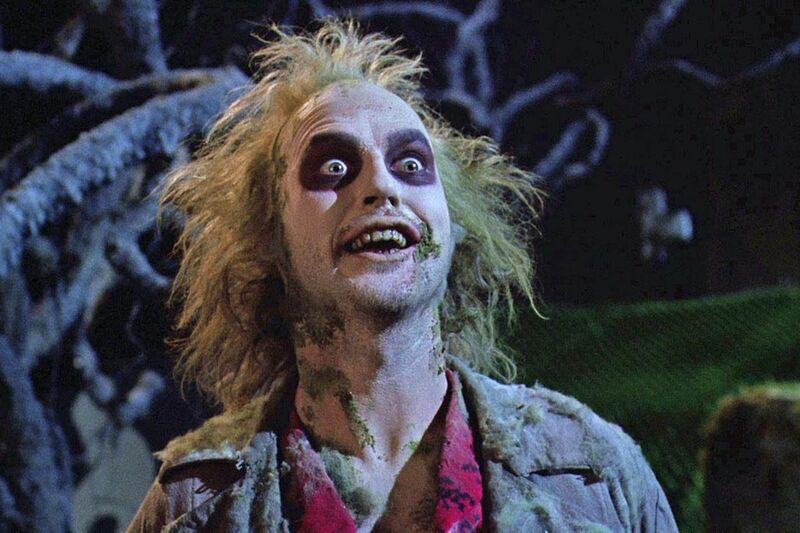 The one character that could possibly save this movie and make it a horror movie is Beetlejuice himself. But then when the opportune moment comes for him to really scare the audience, his scary face is revealed to the characters Adam and Barbara, but not the viewers. We instead have to rely on their reaction to believe if it was truly all that frightening. Michael has gone on record saying his inspiration for Beetlejuice was the character ‘Chop Top’ played by Bill Moseley from Texas Chainsaw Massacre 2; but does that qualify him enough to be labeled as a horror character? There’s also some other evidence to consider, like the entire afterlife filled with ghosts who appear in the form they took when they passed. You can see in the waiting room scene that there is a smoker who clearly fell asleep with a lit cigarette, an unlucky camper who lost a fight to a rattlesnake, and surfer who lost a fight to a shark! Then we have the man who clearly was trying to enjoy a meal when he choked to death on what looks to be a chicken bone, as well as a Magician’s assistant who was obviously killed in a work place accident. But what might appear more horrifying then the characters in this scene is the fact that they have to wait forever in that waiting room, and unfortunately adults would be the only ones to understand that having patience and waiting can be a nightmare sometimes. Before we conclude, let us not forget the horror nods throughout the movie. Beetlejuice famously quotes that he has “seen The Exorcist a hundred and sixty-seven times, and it keeps getting funnier every time.” There is also the scene where Beetlejuice coaxes a fly to his doom, and that is a direct tribute to the horror film The Fly (1958). Geena Davis starred in the 1986 remake of the classic horror film, and Michael Keaton actually turned down the lead role that eventually went to Jeff Goldblum. However, simply making horror references and proving that you actually ARE horror are two different things, and Beetlejuice just doesn’t compare to the horror that it references. I’ve personally never been frightened by the film Beetlejuice or the title character. I’ve always seen it as a comedy. I have, however, always noticed the horror elements throughout the film, and I could see that perhaps a child who is not familiar with such dark characters and imagery would feel uncomfortable or frightened by the sight. The one character that I feel like would make this movie 100 percent a horror movie is Beetlejuice, but he has under 20 minutes of screen time — and I’m just not sure it is enough for it to belong in the horror genre. 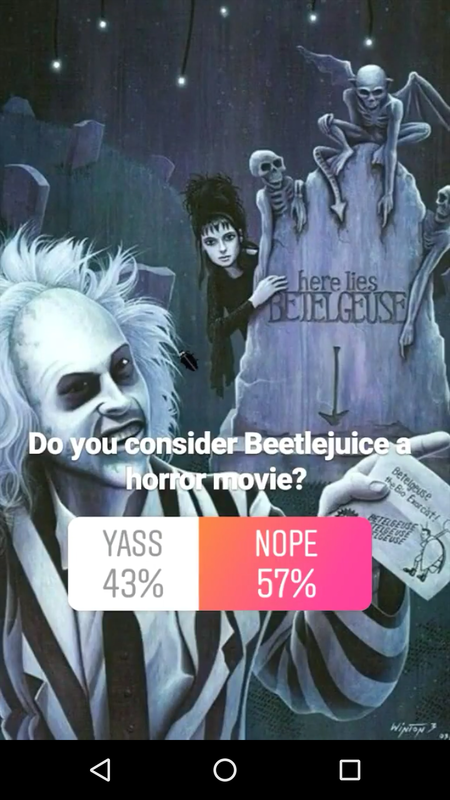 We the Jury, find the defendant, Beetlejuice (1988), Guilty of not being a horror movie (as voted on in my Instagram Stories Poll). I sentence director Tim Burton to direct a sequel. It must include the original cast and contain far more than 20 minutes of the character Beetlejuice. It should also have an R rating and be intended for mature audiences only. With the success of the new IT reboot, the Court is confident this can be reasonably accomplished. Therefore, it shall be done. Court is dead. – Judge Miss J. How can you, the jury, the reader, decide on a movies fate? By following and voting on my Instagram stories at @missjcrossan. Keep an eye out to see what movie will be judged next. You can be part of sentencing the movie and deciding its fate.